There’s been a lot of talk of the federal Liberal Party’s rise in the polls over the past few months. It is real? Will it last? Those are all good questions. Along with polling data, there are other sources of data that we can use to understand the interest and maybe even the popularity of different brands, parties, or political leaders. Take Google Search trends for example. Anyone can chart the Google search trends in any country, over any period of time. How do the main party leaders compare in Google search trends? The chart above plots the search trends since March 2013 when Tom Mulcair was elected as the new federal NDP leader. 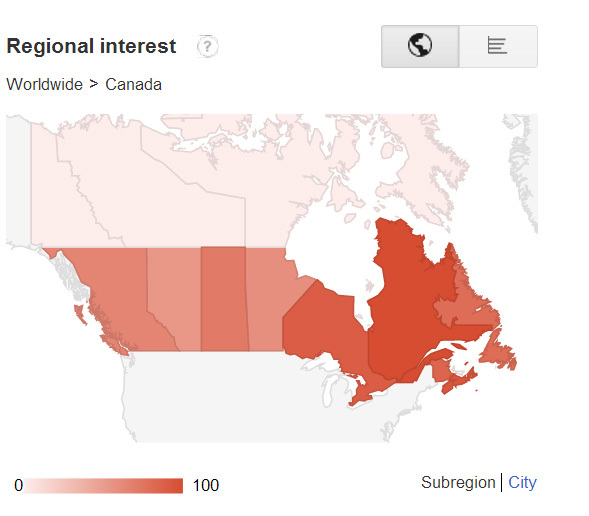 On average, Google Trends give Harper a score of 11, Trudeau 9, May 4, and Mulcair 2. A score of 100 is the highest a search term can receive as a measure of “interest”. We see a spike for Mulcair and Trudeau at different times throughout the past year. 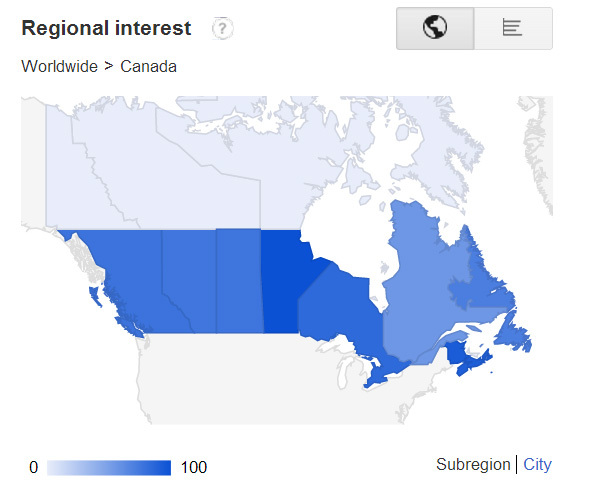 Regionally, the maps below highlight that Trudeau and Harper have a national presence (although Harper is weaker in Quebec) while Mulcair has fewer searches outside of Quebec. What the Google search trends highlight the challenges Tom Mulcair faces in competition with Justin Trudeau and Stephen Harper. Very few people are searching for content about him when compared with the other two leaders. A search is an active exercise and demonstrates a greater interest in a subject than a passive review of a news story on television or a glance at a story in a physical newspaper or magazine. 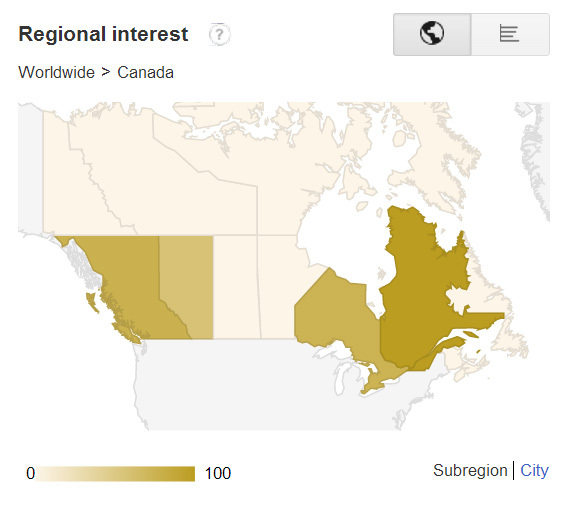 Check out the Google Trends feature yourself. Lots of great data to analyze.